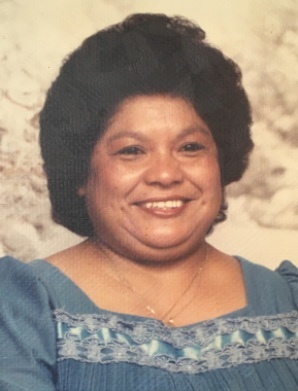 Eustolia Castillo, 77, of Fremont, OH passed away on Sunday, March 18, 2018 at Toledo Hospital. She was born on November 9, 1940 in Harlingen, TX, the daughter of Fidencio and Belen (Melendez) Castillo. Eustolia worked at WSOS as a teacher’s aide for the Fremont Migrant Head Start program. She then worked for Fremont City Schools as a custodian and retired in 2006. Eustolia was a member of St. Joseph Catholic Church and enjoyed dancing, singing and cooking. She loved the company of her dogs and watching Spanish Soap Operas. Eustolia is survived by her children, Angel (Rita) Perez, Bellevue, OH, Victoria (Ricardo) Lopez, Bettsville, OH, Belen (Esteban) Banda, Clyde, OH; companion, Manuel Vasquez, Fremont, OH; grandchildren, Vicente Elizondo, Michael Perez, Nicole Lopez-Tyndall, Eric Elizondo, Veronica Perez, Sophia Lopez and Ricardo Lopez II; eleven great grandchildren. She was preceded in death by her parents; four brothers; one sister; granddaughter, Esenia Lopez and great granddaughter, Kaitlyn Rose Reinhart. Visitation: Friday, March 23, 2018 from 10:00 am until Noon with a Rosary Vigil at 11:30 am at Wonderly Horvath Hanes Funeral Home and Crematory, 425 E. State St, Fremont, OH. Services will begin at Noon at the funeral home with Deacon Alfredo Diaz officiating. Condolences from the Meza family may God guide you in these trying days. God Bless you Vicky, Belen, and Angel sorry we couldn’t be there. hugs and kisses to all.